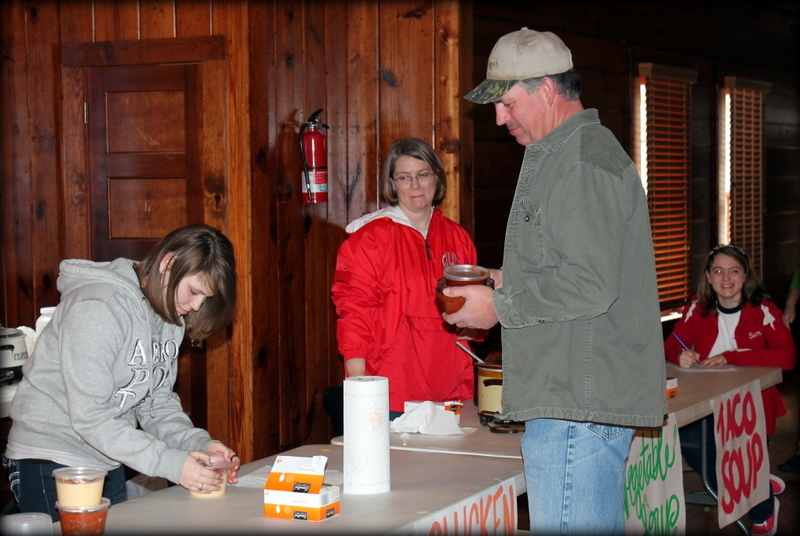 Cori Arendale, Mrs. Matrisciano,, and Sydney Matrisciano help a customer at the Bowls for the Souls fundraiser Saturday. Kimberly Waggoner said she can’t wait to taste the food, see the historical sights and experience how people in another part of the world live. Nicole Lawrence is most looking forward to the possibility of seeing One Direction in London. She is also really looking forward to seeing Big Ben. She said London is a place where she might would like to live one day. Casey Dodds is most looking forward to seeing how people in Europe live compared to Americans. He’s also looking forward to seeing the artworks, monuments and other historical buildings he has studied in Gifted Art Class at Winona High School. 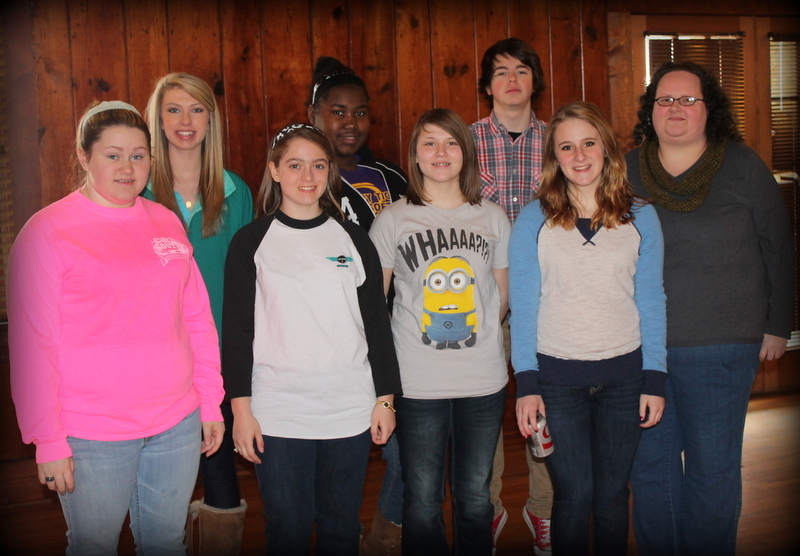 Alley Blaylock, Sarah McClain, Sydney Matrisciano, Brianna Curry, Cori Arendale, Andrew Brister, Kimberly Waggoner, and WHS Gifted Art Instructor, Shirley Hamilton. This weekend, students made progress toward their goal for a summer European Art tour with the “Bowls for the Souls” fundraiser. 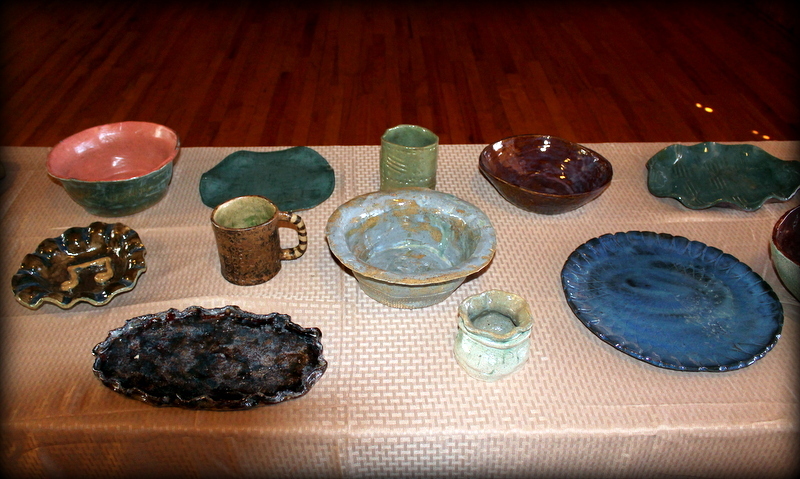 Over $2,000 was raised as part of the event, with ticket holders receiving a handmade piece of pottery as well as homemade soup. 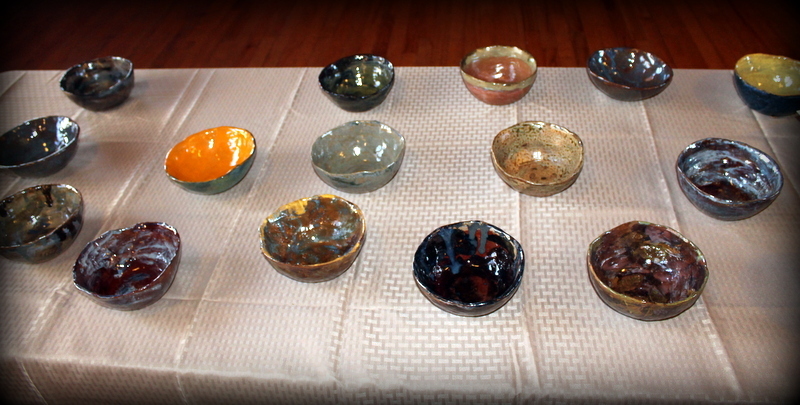 Students sold a total of 111 bowls, with orders for 30 more to be made. The cost of this summer’s trip per student will be $3,425. Currently, four students are going, at a cost of $13,700. The current price of next year’s trip is $4,435 per student. Four students have officially signed up for the 2016 summer trip with at least three others hoping to go. The total cost of the trip will be $31,045. WHS Art Teacher Shirley Hamilton said she is planning two back-to-back art tours in order to give this year’s seniors a chance to travel to Europe before college. 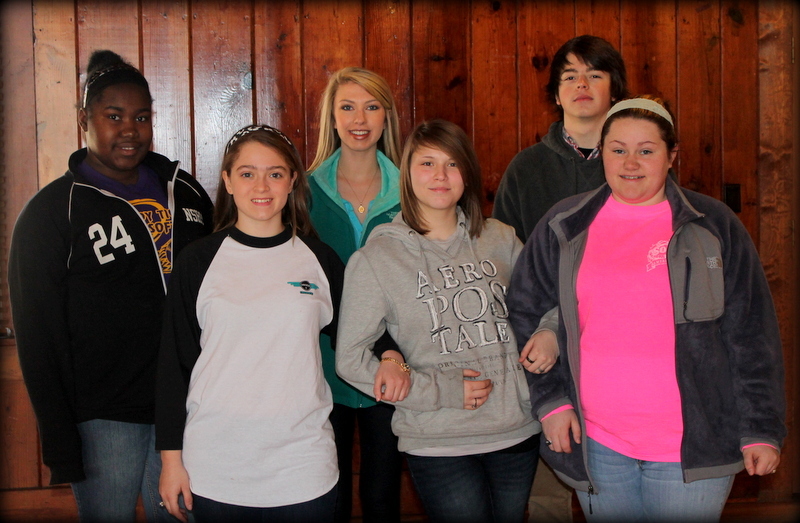 Brianna Bays, Sydney Matrisciano, Sarah McClain, Cori Arendale, Andrew Brister and Alley Blaylock. “After this year, I want to take students every three years to give everyone in my gifted art program, as well as other high school students at Winona High School, a chance to go to Europe,” Hamilton said. Hamilton said a lot more fundraising will need to take place in the coming months, but students would not be able to do all of the things currently on the packaged tour itinerary if they were to schedule everything themselves. 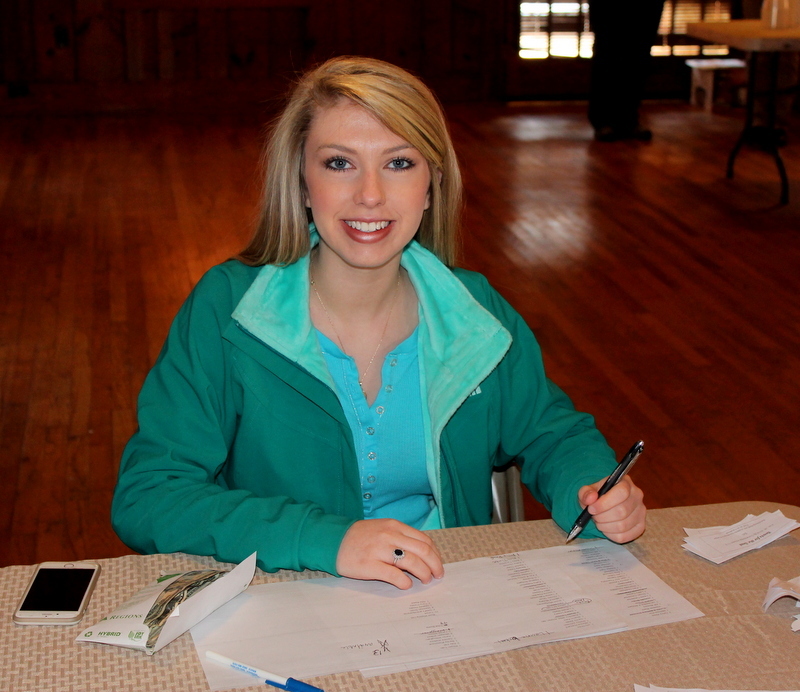 Sarah McClain signing people in for the Bowls for the Souls fundraiser Saturday. This project has also inspired the class to create a pottery business that will not only raise money for the European tours but allow art students to experience the business side of creativity. In the very early stages, the brand name for the pottery will be Firepots. Tanya Wilson, owner of The Brass Bee opening March 12, has graciously offered to carry the student pottery, which will include various items such as platters, cups, bowls, etc. For more information about Firepots or to make a donation to the European art tour, contact Hamilton at (662) 299-4663 or shirleyhamilton@winonaschools.net. See this story in the March 5, 2015 edition of The Winona Times.